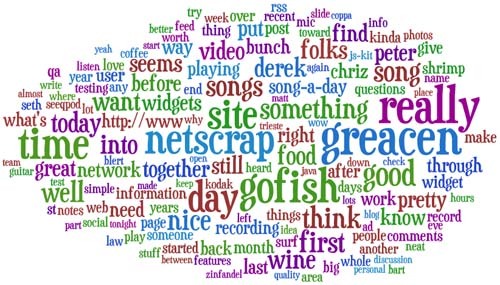 I was hunting around the net for some info on heatmaps for a work-related project and came across a really neat toy called wordle created by Jonathan Feinberg. 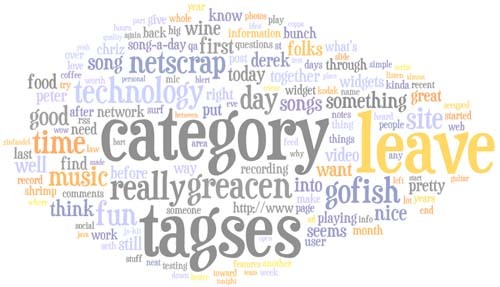 Wordle builds something resembling a tag cloud from a pile of text. 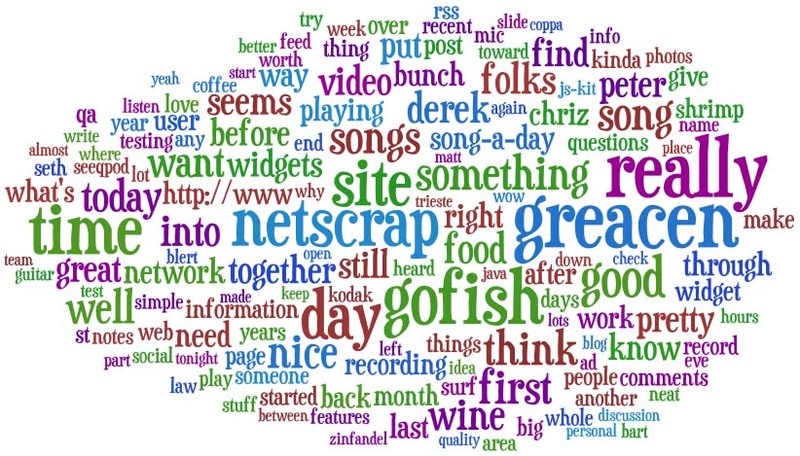 Nice TrueType fonts and sweet color palettes help to turn a pile of wordiness into a handsome map. Lots more to see in the gallery. One of the best parts of wordle is that the project seems to have come about as a personal project sponsored by Mr. Feinberg's employer, IBM. IBM owns the code, we get to enjoy the fruits (for a while at least).